Shanghai is an amazing city with more skyscrapers than New York City and many more being built. Also amazing is the luxurious Peninsula Hotel where John and I recently had the pleasure of staying. 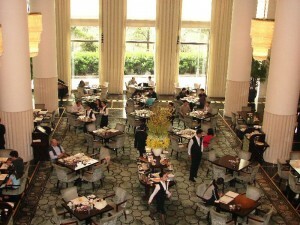 The Peninsula Hotels are considered some of the world’s best hotels. When we travel we like to experience the culture with cooking experiences. 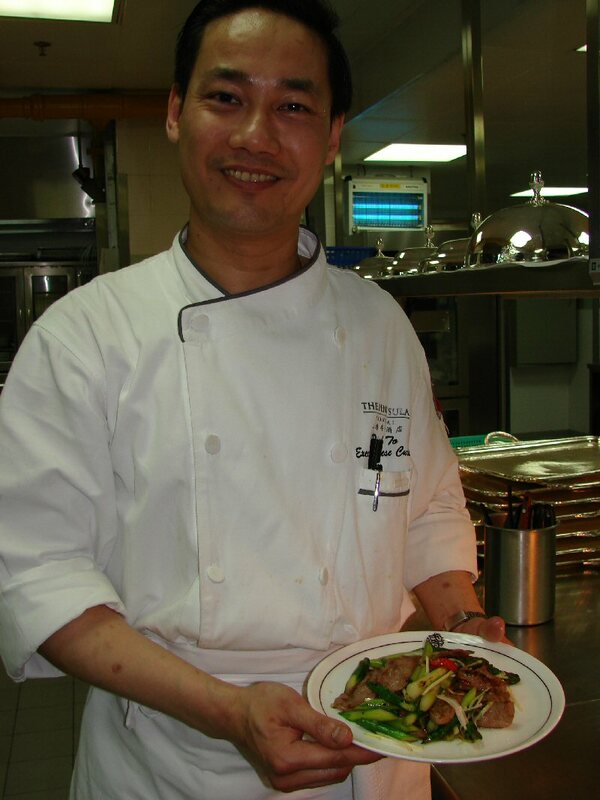 The Peninsula Hotels have a program called The Academy whereby people can learn about the local culture and food. When it is scheduled guests can participate in private cooking classes with the hotel’s chefs, take a master class in preparing dim sum at Yi Long Court or attend a tasting session of Chinese wines for about $150 pp depending on the class and offering. It usually includes a meal. 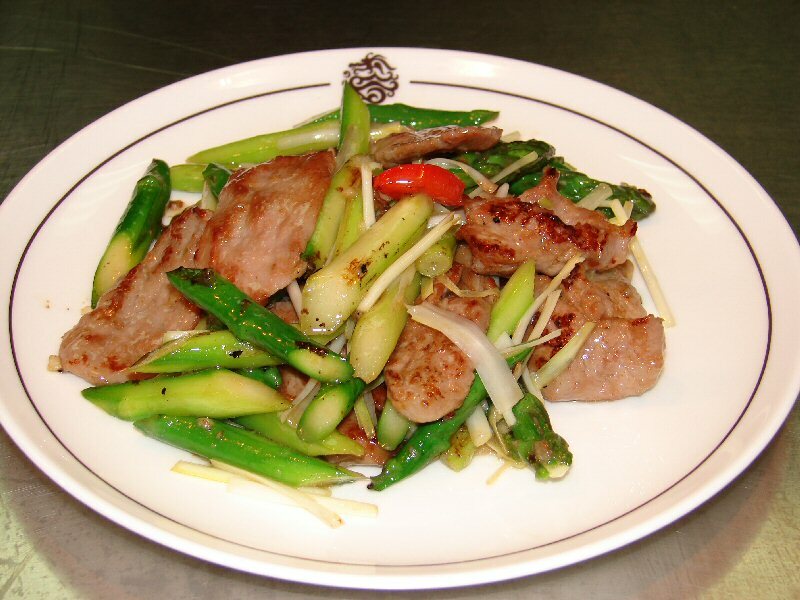 None of those options were available while we were there but they offered to have Chef Dicky To, the Executive Chef of Chinese Cuisine, for the Peninsula’s Yi Long Court Restaurant demonstrate one of his signature recipes at no cost. While watching Chef Dicky cook we realized that the recipe would also work by substituting beef, pork or venison for the duck breast. Chef Dicky shared Chinese eating customs that are different than those in the West. Usually everyone gets a small bowl of rice and a plate. The food is placed on the table family-style with everyone using their chopsticks to get the food from the serving dishes to their bowls or plates. Most Chinese restaurants in China have several small dining rooms besides the general seating area so diners can have a more private dining experience in a family-like atmosphere. 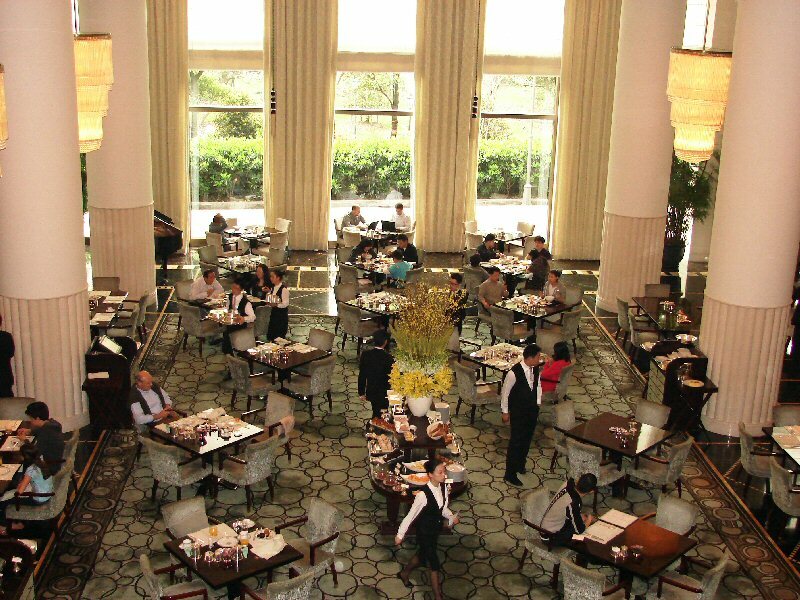 The Peninsula’s Yi Long Court Restaurant has seven private dining rooms. The restaurant’s main dining area is based on a 1920s home of a rich Shanghainese merchant with mahogany floors, fireplaces, comfortable sofas, and velvet upholstery creating a welcoming residential feel. Add asparagus. When the asparagus is bright green remove and put aside. Add seasoning sauce to duck slices, mix, then toss in the wok. When the duck is 80% cooked remove. If necessary add more oil. Sauté garlic, scallions, chives, and peppers until you can smell the fragrance. Stir fry for about one minute. Add seasoning mix and quickly stir fry until the duck meat is well done.